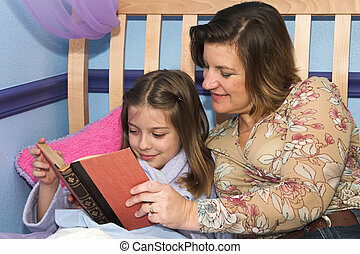 Bedtime bible story2. 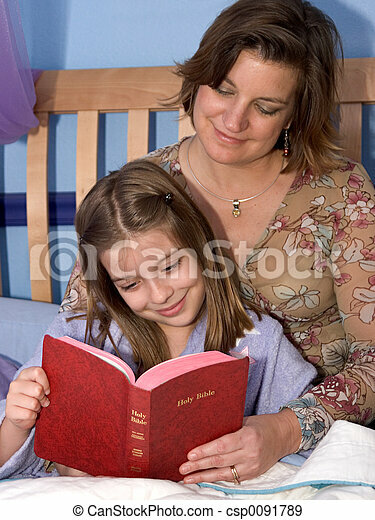 A mother and daughter reading bible stories at bedtime. 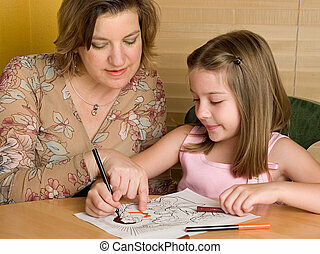 A mother and daughter sharing family time while coloring a picture of Jesus. 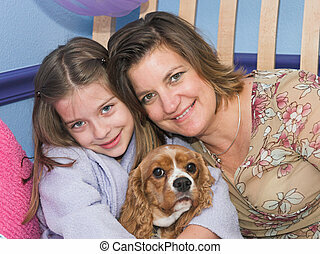 A mother and daughter sharing family time and coloring a picture of Jesus.